Figure 8 A three-month-old boy with left renal agenesis and a right seminal vesicle cyst. (A) A coronal T2-weighted image demonstrates a normal right kidney with bowel in the left renal fossa. Note the large retrovesical cystic structure representing a giant left seminal vesicle cyst (c). 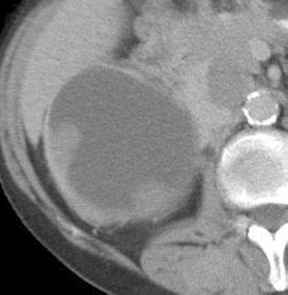 (B) A coronal postcontrast T1-weighted, excretory phase MIP image shows a single functioning kidney on the right with no visible left kidney. Abbreviation: MIP, maximum intensity projection. or obstruction, and the presence of the duplication is, therefore, clinically unimportant. Occasionally, however, there are associated abnormalities of the upper pole or the lower pole renal collecting systems and ureters, or both. 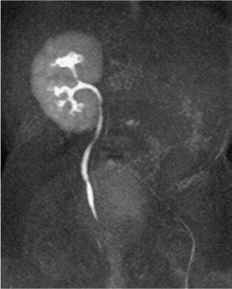 Abnormalities associated with the upper pole renal collecting system and ureter include ureterocele and ectopic intra-vesical or extravesical ureteral insertion. Ureteroceles occur mostly in girls and are usually associated with upper pole pelvocaliectasis and ureterectasis (Fig. 9) (36,37,54,72,73). Most ureteroceles are located at an ectopic site of insertion of the upper pole ureter into the bladder, often at the bladder neck. The ectopic insertion site can also be in the urethra (Fig. 10). Ureteroceles in boys are usually associated with nonduplicated collecting systems. Single-system ureteroceles can have a normal ureteral insertion site or can insert ectopically. 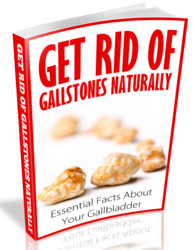 Irrespective of their location, they are almost always associated with ureterovesical junction (UVJ) obstruction and pelvocaliectasis and ureterectasis or MCDK (72,74). The nonobstructing adult type "simple" ureterocele is very rare in childhood.